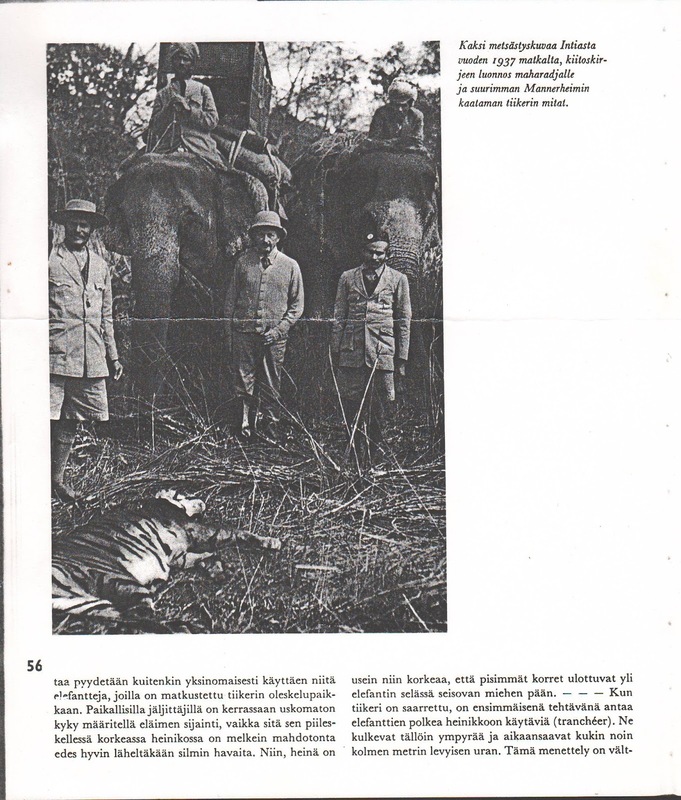 Perhaps the first Finnish tourist in the Himalayan Kingdom was Marshall Mannerheim. Nepal was better known then as a kingdom in the clouds, almost inaccessible, and a paradise for big game hunters from Europe, guests of the British Empire visiting their Indian dominion. The Royal Bengal Tigers, the Great Indian One-horned Rhinoceros and the Wild Indian Bisons roamed free in the dense jungles of Southern Nepal. Emperors and kings, dukes and princes all have made their way to the Nepal Terai to shoot the tiger. 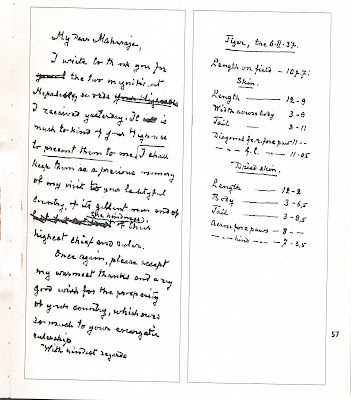 Perhaps this lure of adventure and romanticism brought Marshall Mannerheim for his first Nepal visit at the invitation of the British Resident in Nepal. But bigger things were still to come. After bagging his first Nepalese tiger Marshall Mannerheim made his way back to Southern India and visited Madras and Hyderabad. When he returned in February 1937 he was to visit Nepal as the personal guest of His Highness Maharaja Juddha Shumsher Jung Bahadur Rana, Prime Minister of Nepal. The ruling Rana family had wrested state powers from weak dynastic rule of the Shah kings in the famous coup d'état of 1847. Jung Bahadur Rana was the first Prime Minister to visit England at the invitation of Queen Victoria's court thus making a name for himself as a wily old fox who had outsmarted many bigger and more powerful Indian Maharajahs into getting this invitation. But he also firmly placed Nepal on the map as the supplier of British armies with Gurkha soldiers from the Nepalese hills and the host of many a diplomatic tiger shoot. Never again were the British to attack Nepal after the ill-fated war of 1814. Against this backdrop Marshall Mannerheim was feted at the camp in south Nepal by Maharajah Juddha, the hunting only part of the great game of statesmanship by which the Ranas preserved Nepalese sovereignty. 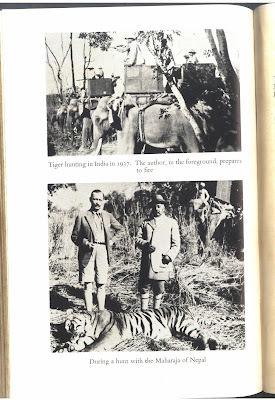 Maharajah Juddha himself was a formidable hunter with over 200 tigers to his name. 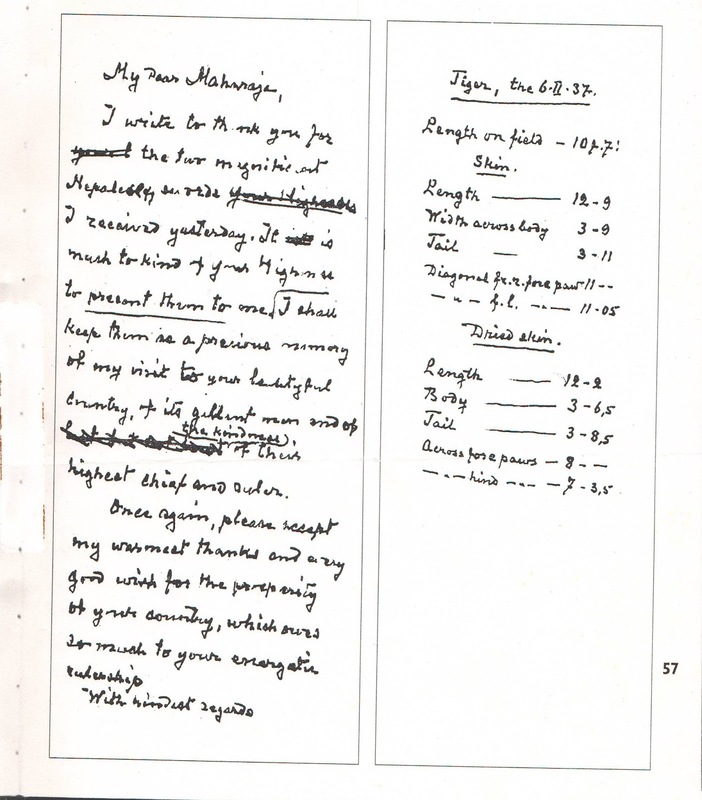 Marshall Mannerheim writes in his memoirs, " The day after my arrival, accompanied by Colonel Bailey (British Resident), I paid a visit to the Maharajah in his camp, to which a specially constructed road led. During the drive I saw an unforgettable sight – one hundred and eighty elephants advancing with their soft, silent gait on their way to surround more tigers. The Maharajah was accompanied by a thousand retainers and two hundred elephants, and his camp was like a city of tents and surrounded by a strong palisade." Marshall Mannerheim accomplished his goal of shooting his male tiger, 10 feet and seven inches in length, the biggest that was shot that year in Nepal. He also visited Kathmandu Valley at the invitation of the Maharajah. As managing director of Marco Polo Travels I have more modest means to encamp our trekkers in the mountains of Nepal. Many Finnish visitors have regaled in our hospitality in the many lodges dotting the Royal Chitwan National Park, what remains of the dense Terai jungles of days gone by. But the tigers are still there, and the rhinos. Each camp has a dozen elephant to take guests on safari. Shooting is allowed strictly with cameras. I like to feel that the great tradition of inviting visitors to Nepal is alive and well in the burgeoning tourism industry of Nepal. Only instead of my grandfather the Maharajah, I am the host! This story has appeared earlier in some tourism related publications.